Don't, for the love of God/your chosen deity/beer, let it stop you buying the book, but I am giving away a signed, doodled copy on Goodreads! Entering these giveaways helps raise the profile of the book, so give it a shot even if you have a copy already. It just takes a click or two. Publishers help sell books. They lend their name as a stamp of quality. They send out early copies to bloggers. And they get the books into book shops. It's a big help. But the real engine that sells any book after that initial push to give it a chance is word of mouth. It's you the reader recommending the book to a friend. It's you being enthusiastic about it on forums. It's you leaving a review or two. And here's another thing you can do if you're on Goodreads. You can click the recommend button. A small thing but also a really helpful thing. I have a long-standing tradition of celebrating Prince of Thorns hitting multiples of 10,000 Goodreads ratings. Well ... I did it for 30,000, then 40K and 50K, and yesterday Prince of Thorns passed 60K. The first of these was a piece defending the right of any book to feature a cast that was overwhelmingly one gender. 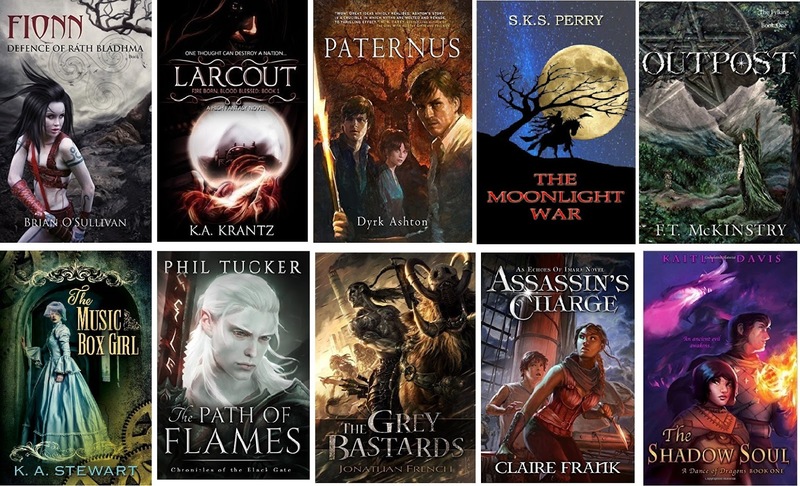 Since this coincides nicely with the release of Red Sister and with Prince of Fools passing 15,000 ratings, I thought I'd blog on those too. 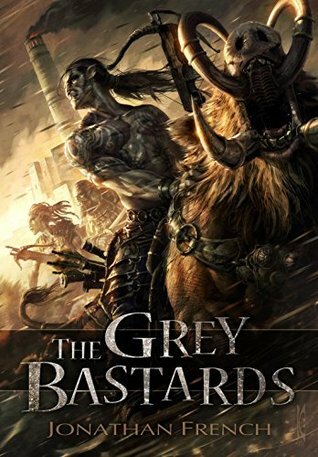 Is Prince of Thorns a grimdark book? 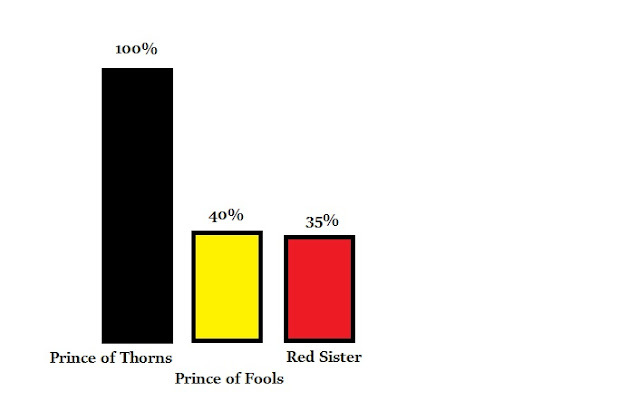 Is Prince of Fools a grimdark book? Is Red Sister a grimdark book? 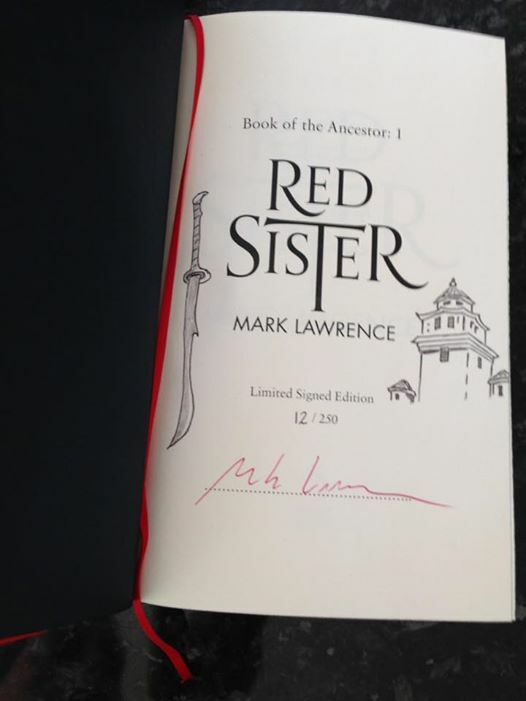 Red Sister is my fastest selling book and highest rated series opener, and has been getting very encouraging reviews. It's human nature though to look at the negative reviews too. First let me note that there is an option on those polls above to vote neither yes or no and to record the fact that you don't know what grimdark is. I would have taken that option. I have noted my confusion over what exactly grimdark is on several (1 2 3 4) occasions! However, the interesting thing seems to be that contrary to some distressed opinions bemoaning that by moving from a main character that's a wise-cracking young man to one that is an earnest young girl I have stepped away from the true path of grimdark ... it seems that according to these polls the step away came in 2014 with a book that most readers considered not to be grimdark. Some male reviewers have made a clearer distinction. 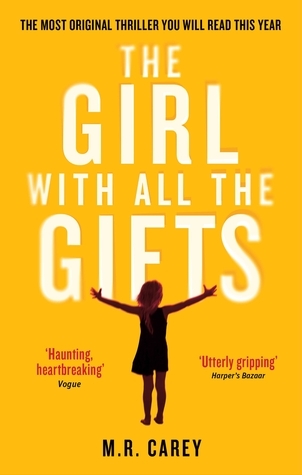 It wasn't the departure from grimdark (a term I had never heard until after finishing the Broken Empire trilogy) that upset them, it was simply that they didn't want to read a book that focused on girls. And I can't argue with any reader's personal tastes. To me it does seem strange though. I could better understand if it was an objection to the type of story they were involved in. But girls are hardly a different species. And even if they were ... I loved the hell out of Watership Down. Anyway. The reaction has been generally excellent and I was surprised more by quite how large a portion of my existing readership took so enthusiastically to this new tale than by those left behind. I'm excited to see how readers take to Grey Sister next year and Holy Sister the year after. And of course I continue to be heartened by how many new readers are still coming to Prince of Thorns and following Jorg on his bloody path through the Broken Empire. I read this to Celyn but the 5* are from both of us. I think I probably enjoyed it more than she did in fact. It's a fine book. I can see why it's done so well. The story is well structured, the brutal opening providing an orphan, a mystery, and an ongoing threat. Thereafter the book slowly cycles back around to its beginning and in the mean time raises our young Bod, equipping him with the skills to deal with his problem. 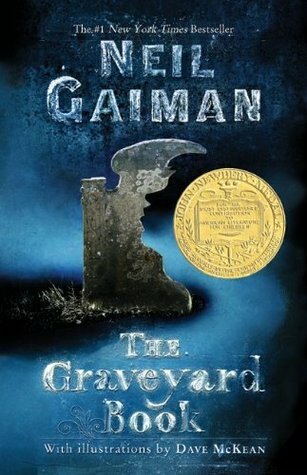 Bod's life in the graveyard is very interesting, with him learning various bits of magic and magical lore from the dead. With hundreds of ghosts spanning several thousand years there's all manner of opportunity for interest and I enjoyed Bod's interactions with them. We watch Bod grow up, be educated, and make ventures into the living world. The whole thing crept up on me. I was gently entertained throughout but by the end I found myself really caring about the story. The end was really quite emotional in that Toy Story III sort of 'leaving the nest' way that punches parents in the gut. I think Celyn got a bit irritated as I kept pausing to gather myself to read the next line. Anyway. A curious and highly entertaining book thick with inventiveness and written with deceptive skill. Every now and then you'll see someone post about why magic and science are the same thing, and by extension imply that fantasy and science fiction are ends of the same stick. And while these arguments may well be true they don't speak to an important difference of a more societal nature. The main difference between fantasy and science fiction is the nature of the fake science (magic) they present us with. Generally the technology resulting from science is available to anybody to buy or discover given sufficient reserves of money, intelligence, infrastructure etc. It's an egalitarian form of "magic". To use a warp drive or phaser gun doesn't require you to be born special. Magic, on the other hand, often requires you to be born "magic". Fantasy is rife with chosen ones, singular heroes whose talents allow them to change the course of history, wielders of magic that is available to them alone or to some elite that were born special. Star Trek offers us a universe full of wonder where anyone has the potential to experience and use magic-like technology. Harry Potter offers us a world where the vast majority, through no fault of their own, are born muggles. It doesn't matter how good a person's heart is, how hard they try ... they will always be a muggle. The wonders of magic are not for them. Live with it, muggle. It seems harsh. It echoes with the class systems of yesteryear. You were born a serf and you will die one, irrespective of your skills. Though here that class system/elitism is replaced with a binary genetic talent. And this general structure pervades most fantasy to some degree. You are born to use magic or you aren't. There are, of course, softer approaches where ability to use magic might be linked to some quality that we are used to seeing have an impact in the real world, intelligence say, and anyone has a shot at it. Why, you might ask, is being born intelligent or not, any different between being born a muggle or not? It's a question of degree. Intelligence is a spectrum and can to some degree be compensated by things such as hard work. Being a muggle is binary You are or you aren't. And the difference between the two is huge. Now, I love fantasy. I'm perfectly happy to read about special individuals whose powers will level mountains. I don't need an equal opportunity socialist utopia before I can enjoy a story... I have written books about people born with special magical talent. But something in the concept of muggles has always rubbed me the wrong way. Maybe it's that we're not talking of a divide between the mass and a scattering of exceptional individuals, but between two societies,the haves and the have nots, with one looking down upon the other (even the kindly wizards who study muggles for a living still seem to see them as a separate thing rather than fellow humans for whom saying wingardium leviosa does not float a feather.). Maybe it boils down to me being more comfortable with heroes than with a heroic class, more comfortable rooting for an ultra rare individual who can do what I can't than for a 1% who can. I think maybe I want my fantasy heroes to live among the people rather than to live in secret wizarding societies and call me a muggle.